UNION Ministers and senior BJP leaders on Wednesday hailed Prime Minister Narendra Modi for India’s successful demonstration of anti-satellite missile capability and described it as a “surgical strike” in space. Congratulating scientists involved in ‘Mission Shakti’, BJP chief Amit Shah said that with its success, India has registered its presence among the elite space powers. “It is a proud moment for all Indians. I congratulate all the scientists involved with #MissionShakti and thank Prime Minister Shri @narendramodi for ensuring that India continues to safeguard the interest of its people and secures them on all fronts. “Decisive leadership leads to a stronger Nation. With #MissionShakti, India has registered its presence among the elite space powers. 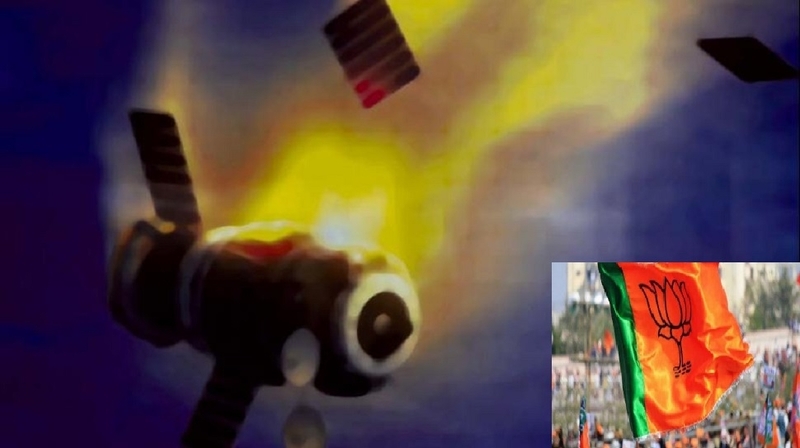 A-SAT, an anti-satellite weapon, which successfully targeted a live satellite on a low earth orbit, is a giant leap in India’s national security,” Shah tweeted. Applauding the achievement, Union Minister Nitin Gadkari said that the country is on its way to become not only a super economic power, but also a super science power under the leadership of Prime Minister Narendra Modi. Echoing similar sentiments Gadkari’s colleague in the Cabinet and BJP’s ally SAD leader Harsimrat Badal said, “Mission Shakti’, a great achievement and this time a surgical strike in Space. We are now an elite space power. Congratulations Indian Scientists and Prime Minister.” BJP’s General Secretary Arun Singh said that the main purpose of India’s work in the space sector is the country’s security, economic development and technological progress. ‘Mission Shakti is an important step towards securing these dreams, he said. Maharashtra Chief Minister Devendra Fadnavis said that Prime Minister Narendra Modi had done India proud with the successful testing of an anti-satellite missile. Fadnavis also congratulated the scientists who achieved the feat and noted that India has become the fourth country in the world after the US, Russia and China to have such a capability. “Congratulations India! We are now a space power too! And thank you Hon PM Narendra Modi ji for making India proud again by accomplishing #MissionShakti by testing anti-satellite (A-SAT) missile & shooting down live satellite in just 3 minutes,” Fadnavis tweeted. “India also congratulates all hard working scientists and entire team for this great achievement and making entire Nation proud,” Fadnavis said in another tweet.